Monarch butterflies soon will alight on Canyon Lake and New Braunfels-area trees, bushes and shrubs. Comal Master Gardener Association says there are many ways locals can help these butterflies (and others) on their annual spring migration from Mexico to the northern United States. Planting a butterfly garden tops the list. And don’t be surprised if the garden also attracts songbirds, hummingbirds and bees as well. “Providing nectar sources for butterflies is important due to habitat loss and increased use of pesticides in crop fields. You can do your part to provide sanctuary for these insects — and save water while doing so. 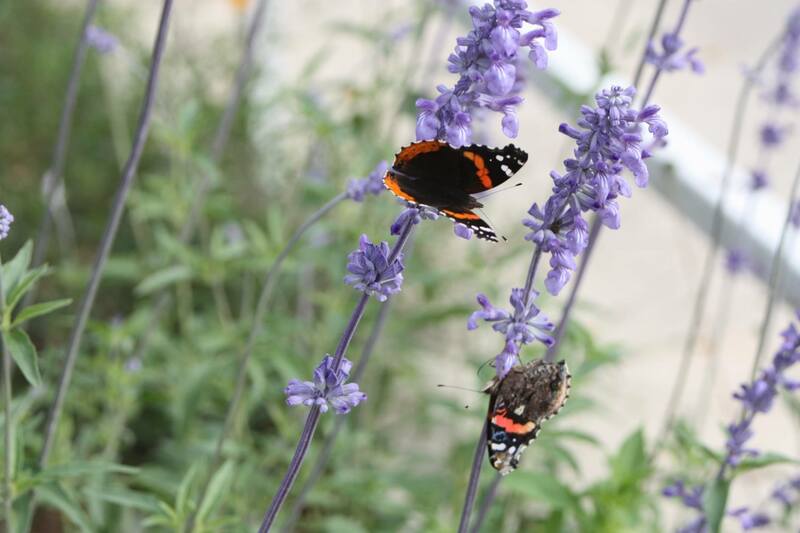 Are you looking to improve your landscape for wildlife but don’t know the first thing about butterfly gardening? Providing nectar sources for butterflies is very important due to habitat loss and increased use of pesticides in crop fields. Do your part to provide sanctuary for these insects and save water while doing so. A caterpillar hatches from an egg and eats very specific vegetation before it builds a chrysalis and emerges as a butterfly. This mature butterfly can now consume nectar from many different kinds of flowers. For example, the female monarch butterfly lays her eggs only on plant species of the genus, Asclepias, more commonly known as milkweed. Once the eggs hatch, the ravenous caterpillars eat the leaves and flowers of the milkweed. After the monarch caterpillar emerges from its chrysalis, it seeks out nectar from less specific flower sources. In the instance of the monarch butterfly species, the Asclepias plant is considered its larval host plant. Every species of butterfly has one or more plant species that they utilize for egg laying, knowing that these plants will provide the right food for the caterpillars. As a butterfly gardener you must be comfortable with caterpillars consuming not only the nectar of the flowers, but the vegetation as well. And don’t worry, the foliage will grow back! Any and all pesticides should be avoided if you want a successful butterfly garden. Pesticides are designed to kill insects and are non-selective when doing so. Provide flat stones in sunny locations for butterflies to warm their wings on as they are cold-blooded and have no other mechanism for creating heat. Provide shallow water sources, such as pie pans filled with gravel, that are easily accessible for butterflies. Deep ponds are not ideal. In order for your garden to attract butterflies from spring to fall, be sure to include spring, summer and fall-blooming plant species. 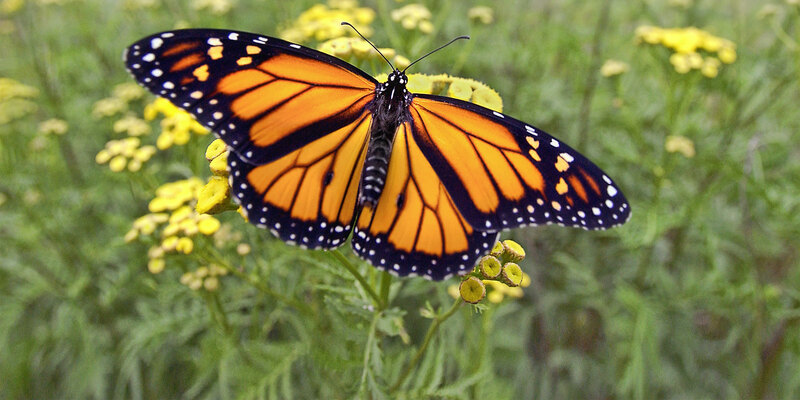 Butterflies native to our region have long coexisted with the native vegetation of the central Texas landscape. Focus on planting native vegetation in your butterfly garden. Ask your nursery if the plants you are buying have been treated with systemic pesticides like neonicotinoids. Systemic pesticides remain within the tissue of plants for long periods of time and can harm insects well after application. Support nurseries that do not use these chemicals. Wildlife is attracted to diverse gardens. Use plants of different heights, textures and colors when planning a butterfly garden. Plant some of these native and drought-tolerant species to attract butterflies all season long! This is only a partial list — there are many others to choose from. Many of these are larval host plants as well as nectar sources. For other suggestions about how to garden in Canyon Lake and New Braunfels, click here.